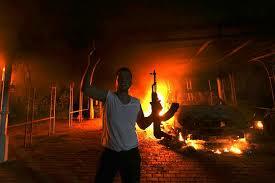 Hillary Clinton and Barack Hussein Obama have repeatedly lied about the Benghazi attack. Hillary Clinton, who was Secretary of State at the time, apparently did nothing to help the men who were under attack at the facility. She refused help before the attack, during the attack, and covered up the Al Qaeda links in order to protect Obama’s re-election chances. The Obama Administration is filled with liars and deceivers who routinely put politics above the lives of American soldiers, sailors, airmen and Marines. The chief among these liars are Obama, Biden, Clinton, Jay Carney, and John Kerry.